The PH 3/2.5 Bollard Outdoor Lamp is considered to be a classical masterpiece made by Poul Henningsen more than 40 years ago. Made from materials that can endure various weather conditions. The Louis Poulsen PH 3/2.5 bollard lamp is perfect for entrances and placement around the perimeter of corporate areas and private residences. The PH 3/2.5 Bollard is available in a black painted stainless steel finish. Suitable for gardens and drive/walkways. The PH 3/2.5 Bollard provides mainly downward illumination. The Bollard is based on the principle of a reflecting multi-shade system, creating harmonious and glare free illumination. The shades are drawn over a logarithmic spiral with the center of the light source placed in the spiral's focal point. 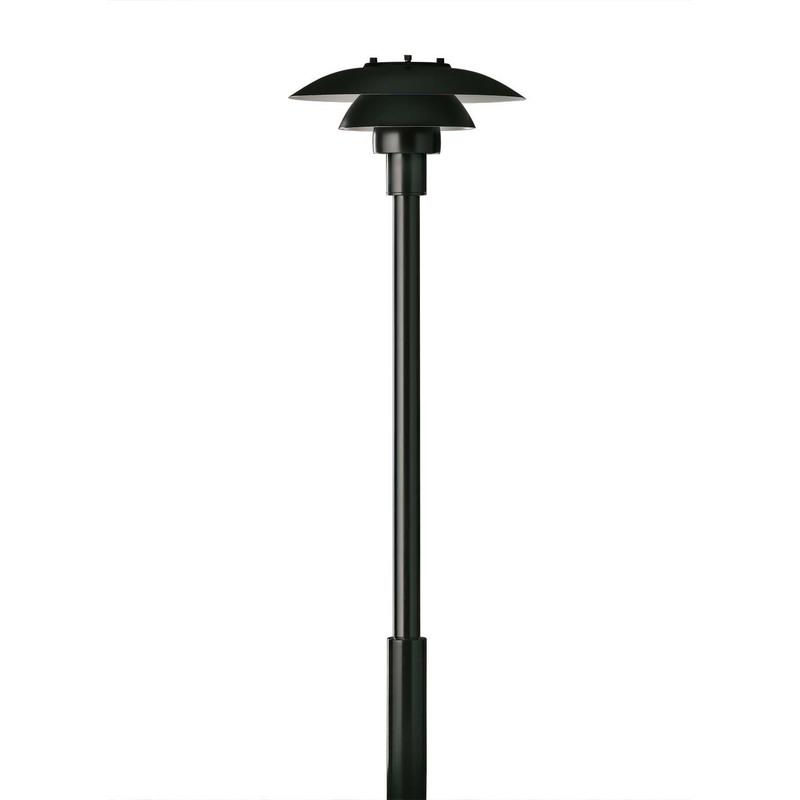 The PH 3/2.5 outdoor bollard lamps provide a stylish and highly sophisticated way to illuminate your garden pathways and other outdoor areas and your landscape design. The unobtrusive yet highly stylish design of these outdoor bollard lights offers a unique way to dress up the exterior of your garden and outdoor landscaping through soft diffused lighting without glare. The simple yet refined design of this bollard lamp does not detract from the architectural elements of the your house. 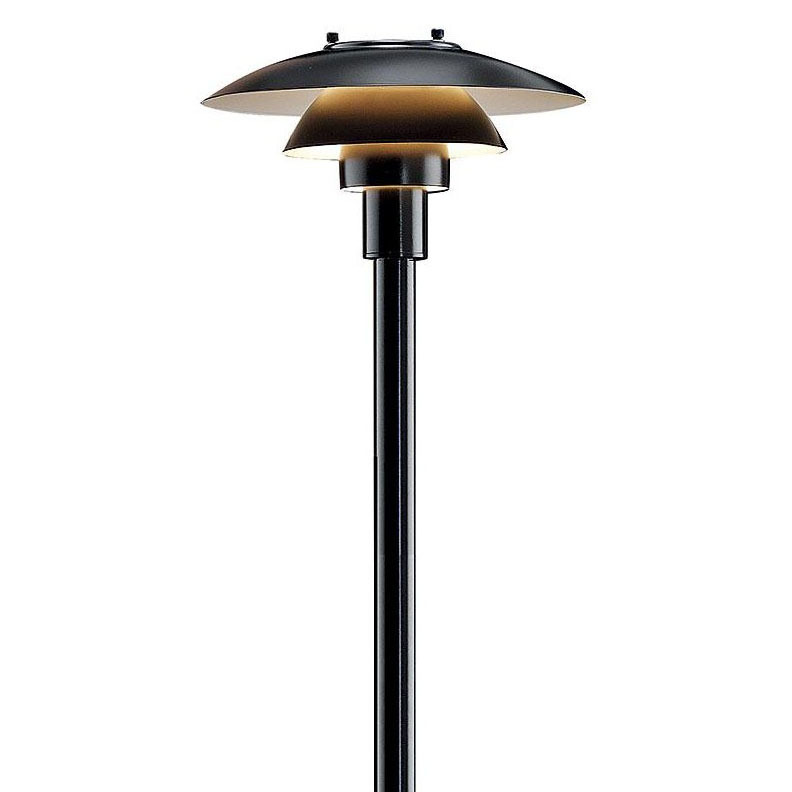 Louis Poulsen makes this Bollard light in a traditional tubular shapes from stainless steel with a black lacquer. 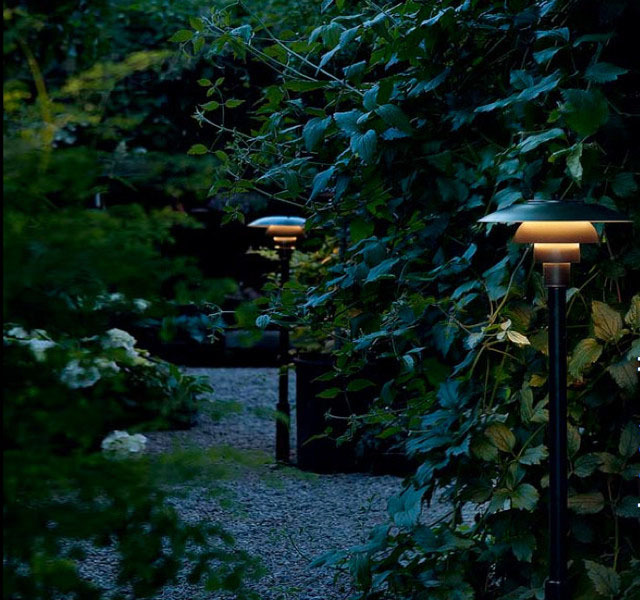 The sleek Louis Poulsen PH Bollard design adds stylish illumination along paths and plant beds and works exceptionally well as a border light. These bollard lamps are a great solution for commercial outdoor lighting projects where they can be used for decoration, security, and pathway lighting.